After Amazon's press event today in New York and the release of its first Android tablet the Kindle Fire, Amazon has refreshed the Kindle yet again with the new Kindle Touch priced at just $99 with Amazon's Special Offers ads, and $139 without. The Kindle Touch loses the physical keyboard for an on-screen virtual touch keyboard and an even sleeker design with an aluminum back. The same 6" touchscreen remains to be E Ink display that's also multi-touch. 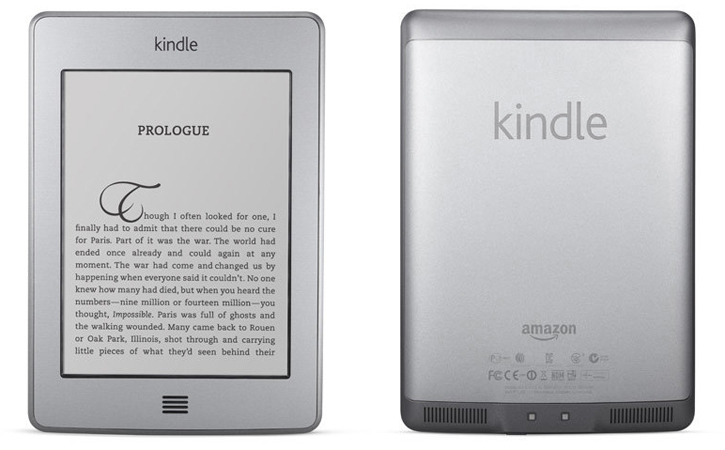 The now older 6" Kindle will be called the Kindle Keyboard and is priced at $99 as well. Amazon's Kindle Touch comes in a WiFi-only version as well as a WiFi and 3G version priced at $149. Both models are now available for pre-order and will start shipping on November 21.